CF-20 from Panasonic is a business notebook and a tablet. Defined as the most rugged, the CF-20 is made of MIL-STD-810G and IP65 design with a magnesium alloy chassis. The built-in handle also functions as a kickstand to provide on-the-job flexibility and gloved multi touch display. The notebook runs Windows 10 Professional on an Inter Core M5 vPro processor. It also features a USB port, MicroSDXC, HDMI, Ethernet, Optional Serial, Headphone/mic, Micro-SIM slot. On Keyboard Dock you get USB port x 3, SDXC, HDMI, VGA, Ethernet Serial, Docking connector. 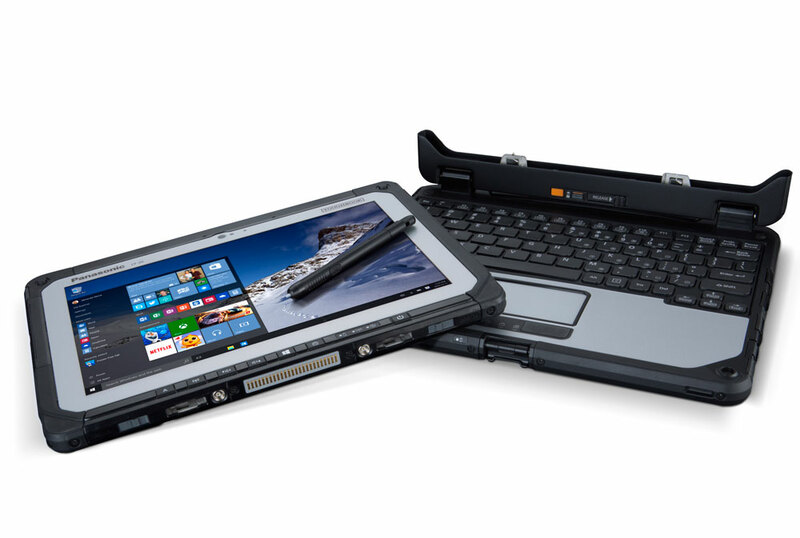 The Toughbook CF-20 is purpose-built for challenging environments, including field services, utilities, oil and gas, transportation and logistics, healthcare, insurance, public safety and defense. CF-20 is powered by 6th Generation IntelR CoreTM vProTM processor technology, 128GB SSD and 8GB RAM. Additionally, it sports a glove enabled touchscreen, and purpose-built Vehicle Mount and Desktop Port Replicator, armed to meet all mobile computing needs at extreme conditions. VGA, Serial, Ethernet, Wireless: 802.11ac Wi-Fi, Bluetooth, Dual Pass Antenna, optional 4G LTE multi carrier or Dedicated GPS.